29 Nov The Overhead Press – Is It Bad For The Shoulders? Is the overhead press bad for the shoulders? That's a common question and often a very debated one. Should you avoid this exercise? And, what are the benefits versus the risk? I’ll give you my perspective, as both a strength athlete and former PT (physical therapist). I'll tell you why I love this exercise, but it may not be right for you. 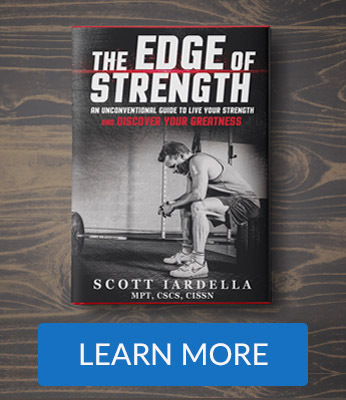 I’ll talk about pressing in the context of using a barbell, which can be viewed as the most demanding on the shoulders. 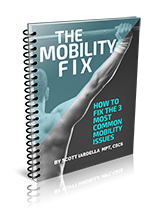 Mobility is such a common buzzword in the fitness industry today, but what exactly is it? Before you read ahead, think about this - how do you define mobility? And, how do you define good movement? In this article, I'll provide some simple background information about movement and mobility so that you have a better understanding and can assess your own movement and mobility. I remember not too long ago interviewing Dan John for the podcast. In the interview, he mentioned that he had a coach to help him with his training. I was shocked that even Dan John had a coach, but quickly realized how right he was. You see, we all need a coach, no matter what level we're at. We all need a coach to get to the next level - assuming you want to actually get to the next level and I'm sure you do. Here's 7 reasons why we all need a coach. Question for you. Do you ever stop and really think about how your training evolving? Are you cruising along or are you making real progress? I mean, think about it. How are YOU getting better? Let me be honest with you, I’m a book nut. No - I'm a book NUT. If you’re a regular reader or you listener to the podcast, you already know that. Books are just one of my passions though, just like training is my passion. I hope you enjoy reading, as much as I do because reading is one of the easiest things you can do to improve the quality of your life. This guide represents the definitive guide to kettlebell training available online today. Here's a simple kettlebell swing program to build strength and power with the one-hand kettlebell swing. I call this the "Equalizer" because you progressively take things up to another level to "equalize" your volume with a heavier kettlebell. It's a very simple progression - and it works. Check it out.